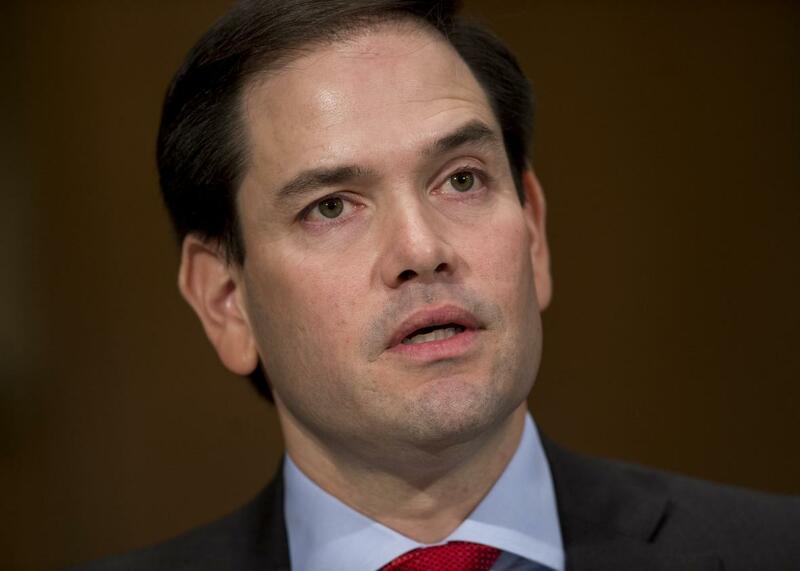 Marco Rubio will support Rex Tillerson for secretary of state. The caver, in some cave. Sen. Marco Rubio has carefully measured the pros and cons of voting the way that reflects his opinion and will not do so. He announced Monday morning on Facebook that he will cave and support Rex Tillerson’s nomination for secretary of state. Rubio, by all accounts, thinks Tillerson is a crap nominee. Rubio, speaking for the Cold Warrior troika of himself, John McCain, and Lindsey Graham during Tillerson’s confirmation hearing, aggressively questioned and confronted Tillerson before the Senate Foreign Relations Committee. Rubio asked Tillerson if he would label Vladimir Putin a “war criminal” over the Russian campaign in Syria. Tillerson would not. Last week was a long time ago, though. “Politically, however, several people in Rubio’s circle said they see no upside to defying Trump, especially now that Tillerson is on the path to being confirmed,” the Washington Post reported Sunday night, after McCain and Graham announced their support for Tillerson earlier in the morning. “Rubio is aware that the backlash from the new White House would be intense, according to those close to him.” The Post story quotes one major Rubio donor from Texas saying that he and his pals have been urging—“in very blunt fashion”—Rubio to cave. Rubio did just that on Monday morning ahead of the committee vote, citing deference to the president in selecting his Cabinet and Tillerson’s “extensive experience and success in international commerce.” The most risible part of his statement was its last sentence: “However, upcoming appointments to critical posts in the Department of State are not entitled to and will not receive from me the same level of deference I have given this nomination.” Sure, sure. Marco Rubio made a difficult political decision once in his Senate career—writing and supporting the comprehensive immigration reform bill in 2013—and it didn’t work out so hot for him when he ran for president. So, enough with that.